In June this year, the measles outbreak almost took over the Mithi Rohar village of Gandhidham taluka in Kutch, Gujarat. About 50 children were hit by this deadly disease leaving health experts of the area in a tizzy. Thankfully, the figure was better than that of 2012, where India reported 18,668 cases of measles. According to World Health Organisation (WHO) statistics, India recorded the second highest number in sub-Saharan Africa and the South East Asian region. This prompted eleven member states from WHO South-East Asia Region to commit to the elimination of measles by 2020. So what makes measles a dreaded disease that influential countries are coming together to work on its eradication? Measles, also known as rubeola, is a highly contagious and potentially fatal disease caused by a virus. The rubeola virus is so potent that being in the same room with someone who has measles in a short span of time, or having face-to-face contact with them, is enough to expose one to the virus. The disease is characterized by a total-body skin rash and flu-like symptoms including high fever, runny nose, and cough. Measles can also go to the lungs and central nervous system. The measles infection usually plays out in a sequence between a period of two and three weeks. After 10 to 14 days after exposure to the infection is the incubation period. During this time, none of the measles symptoms mentioned above appear. These are symptoms shared with other diseases hence cannot be used to determine the contraction of measles. 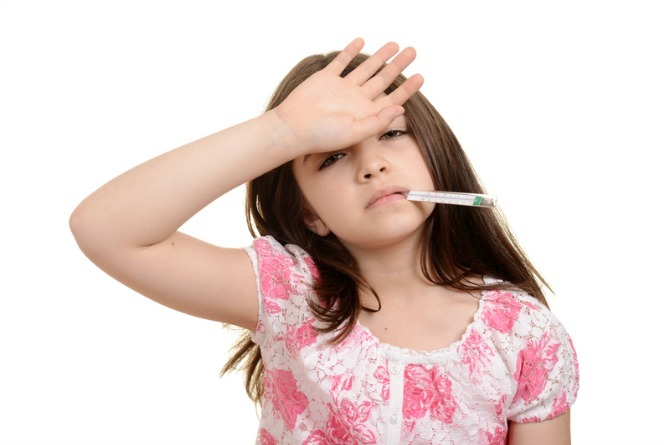 These start with mild fever, runny nose, dry cough, inflamed eyes and sore throat. Rashes occur a few days after non-specific symptoms of measles arrive. From the head, the rashes spread to the upper body, limbs, thighs, lower legs and then the feet. The rashes are accompanied by a sudden high fever of 40 to 41 C.
The rashes eventually fade from the face, thighs and from the feet, in that order. Measles is caused by the virus from the paramyxovirus family. It replicates in the nose and throat of the sick child. This is why droplets that are expelled from an infected child, through coughing or sneezing, are highly contagious. Airborne droplets can be inhaled by others. 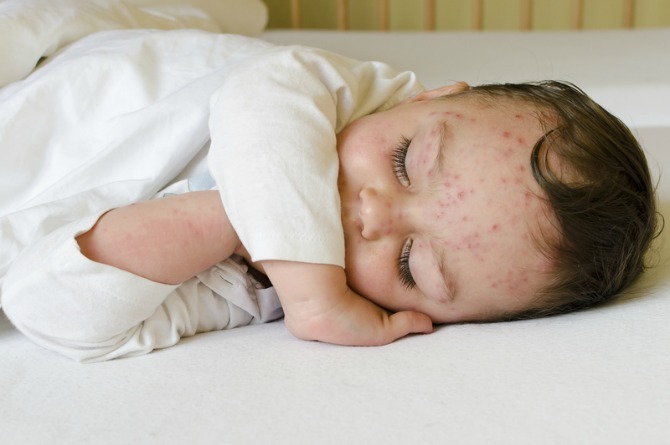 They can also remain active on surfaces, so anyone who touches infected surfaces and uses his hands to rub his eyes or puts his fingers in his mouth can contract measles. A child becomes contagious for approximately eight days, which includes four days before the rashes start and four days after the rashes begin. 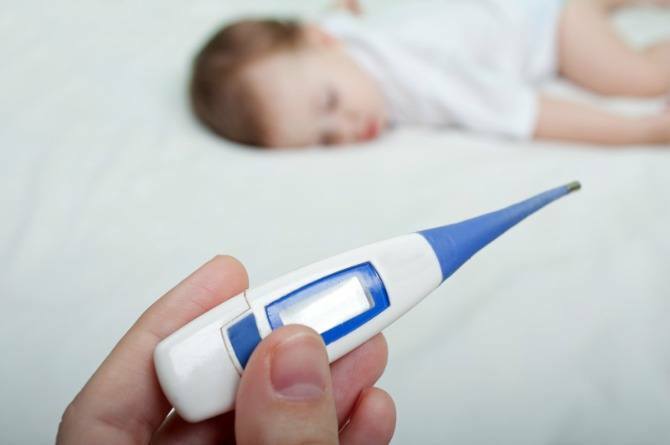 The most contagious phase is when the child has fever, cough and runny nose. Those with a weakened immune system (i.e. suffering from HIV or AIDS) are contagious until they have fully recovered. The doctor can diagnose the disease from the presence of rashes and red spots. However, if it is necessary, a blood test is recommended to determine the virus. Since measles is caused by a virus, there’s no specific medical treatment. The virus simply has to run its average 10-day course. 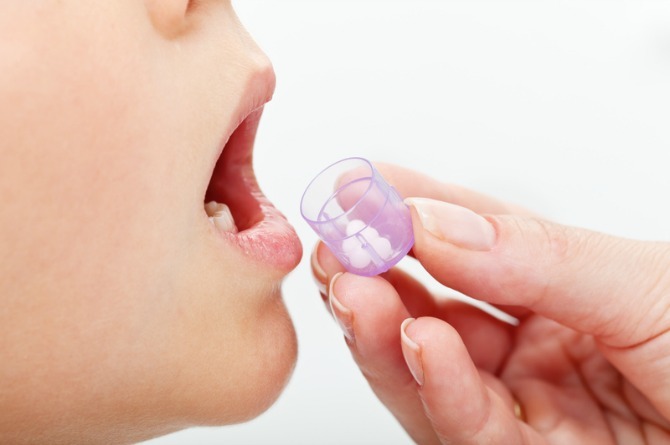 Acetaminophen, ibuprofen or naproxen can be given to help relieve fever symptoms. Stay away from aspirin, which causes Reye syndrome. Antibiotics can be given to combat bacteria should a child be suffering from an ear infection or pneumonia, for example. Vitamin A helps decrease or lessen the severity of measles symptoms. It is important to monitor a child infected with measles for any complications that may arise. Isolate a sick child to avoid contaminating the rest of the household. Give plenty of fluids such as fruit juice, khichdi, chicken soup or milk. Use humidifiers to relieve coughing. If the child is bothered by bright light, use soft lighting in the room or cover the window. Avoid giving him tablets or smartphones or allowing him to watch TV. Encourage him to rest his eyes. Encourage a child to rest well. Note: Because measles is highly contagious, it’s best for those caring for an infected child to use surgical masks to avoid contracting the virus. The Measles, Mumps, and Rubella (MMR) vaccine is administered first to babies between 12 and 15 months and again when they reach four to six years of age. Infants are generally protected from measles until their sixth month because of immunity passed on from their mothers (who should have had the shot before their pregnancy). In times of an outbreak, the individual measles vaccine may be given to a baby six to 11 months old, followed by the usual MMR immunization. Who shouldn’t receive the MMR vaccine? Do you have anymore questions about the symptoms of measles? Please share in the Comment box below. 15 Power foods to keep you energetic throughout pregnancy! The man behind Anant Ambani's 108 kg weight loss reveals his secrets!